Breach inward and outward opening security doors with maximum stealth and speed while minimizing exposure. This tool provides you with four optimal entry tools in one! Constructed with a TacForged steel alloy for a lighter weight tool but still the great strength! Features a hardened hammer on one side and a multi purpose saw rake on the other. 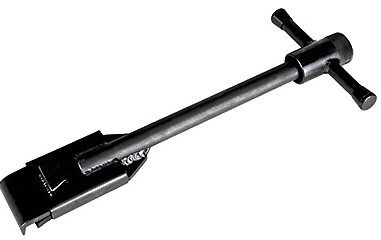 Check out more details on the Multi Sledge Entry Tool here! Superior light weight and incredible tool strength. 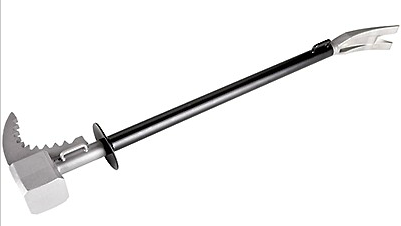 This tool is designed for patrol officers who are responding to active shooters with a tool shaft that's designed for rigidity, utilizing hydraulic pipe steel to eliminate all spring tension in the tool. Check out the Multi Pry Entry Tool here! Open outward swinging metal/security doors faster while minimizing exposure. This tool has an edge bender security plate bypass which quickly reveals door gaps, and has revolutionized the ability to open outward swinging doors in a reliable way! To check out more details, find the Edge Bender Entry Tool here!